I just want to say that "The King's Ransom" is one of the BEST presentations of Elvis memorabilia that I have seen. Several cases have things in them that brought back some wonderful memories to me. I really appreciate you showing me everything, it's meant a lot! “The King’s Ransom” is the most extensive collection of Elvis memorabilia I have ever seen! “The King’s Ransom” is just phenomenal! You would have to visit Elvis’ home in Memphis, Tennessee to see more personal items that belonged to my friend and boss Elvis Presley. For me, viewing The King's Ransom collection here in Berlin has been like a stroll down memory lane. It really brought back great memories of a fantastic period of my life - knowing and working with the King Of Rock-n-Roll - Elvis Presley. No one should miss seeing this great collection of Elvis Memorabilia and historical documentation which is so wonderfully presented." "The King's Ransom" is a ransom! This place is beautiful, this is very well done. I am so excited about this. This is absolutely amazing. What an exhibit! I'm glad to see someone take it on the road and make it happen. If you get a chance to see this exhibit do, you'll be sorry if you don't. "The Kings Ransom" is worth a Kings Ransom. My wife and I thoroughly enjoyed our visit and especially the chance to meet Jimmy Velvet. The next time you visit Las Vegas, make it one of your priority destinations. I’m here in Memphis, looking at “The King’s Ransom” and I’ve been totally BLOWN AWAY! This display is just second to Graceland. I am finding it hard to put into words just how excited I am to see this personal collection. It is absolutely outstanding, fascinating and just perfect. It’s a “must see” it if you get the chance. These guys are the best and their collection is the best!. I just want to congratulate Russ Howe and Bud Glass for their exceptional exhibition “The King’s Ransom”. There is so much incredible stuff here. I thought even if I live to be 100 years old, I wouldn’t be able to see it. But in one day I came into Memphis, and I saw the exhibition and it was fantastic. "What wonderful memories of the King. The Kings Ransom Museum was a pure delight! It was really great seeing all of the wonderful things that you were able to find for the museum. I can remember seeing Elvis either wearing a certain shirt or piece of jewelry, or carrying a personal items that The Kings Ransom had on display. Although there were some sad feelings to see these wonderful items, it also reminded of all of the wonderful and happy times that we all had together at Graceland, and on the road. Thank you for so lovingly bringing these memories back by displaying them in your museum. I truly enjoyed being there. Thank you for inviting me to The Kings Ransom Museum." I had the privilege of seeing "The King's Ransom" exhibit at the Texas State Fair in Dallas, Texas. 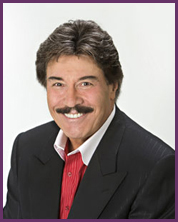 I was intrigued with this incredible and authentic collection of memorabilia. My friend Elvis would be honored to know this extensive collection of his personal items are available for the world to see. Thanks for the memories! I can attest to the fact that the King's Ransom Museum in Vegas is one of the most authentic Elvis memorabilia Museum ever. 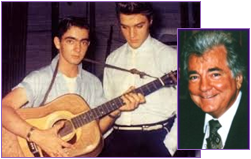 I know that the owners and creators Russ Howe and Bud Glass are diligent and avid Elvis fans and that they have taken great measures to obtain real and authentic Elvis memorabilia unlike a number of the fake, fly by night previous projects that pop up every now and then. I wholeheartedly recommend fans to visit the Museum whenever they're in or close by to Vegas. 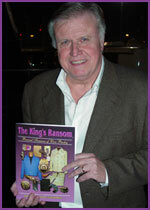 The King's Ransom unlocks the door to the real Elvis Presley. The father, the lover, the rock 'n' roll superstar and a very enigmatic individual are all unveiled in this unique collection. In my research, I have been fortunate to have viewed Elvis Presley's private inventory remaining in Memphis, but the King's Ransom always excites me as an ever-evolving exhibit of Elvis' personal items gathered by two expert archivists. It features many key historical items that fans would be overwhelmed to see, within an outstanding collection that reveals a wealth of information about Elvis Presley. We soon realize that there is still so much to learn about the real man behind the image. I had the privilege of viewing “The King’s Ransom” exhibit when Bud Glass and Russ Howe had it on display in Berlin, Germany. 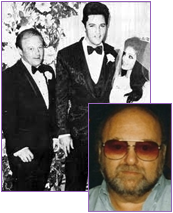 I, along with Sonny West, The Sweet Inspirations and Bud and Russ were participants in a huge Elvis celebration there. I was not prepared to see the incredible collection so lovingly and respectfully presented. The extent of the collection is just unbelievable. “The King’s Ransom” is a must see for every Elvis fan and for anyone who might be even mildly curious about the greatest entertainer the world has ever known. I am proud to endorse this remarkable exhibit and Bud Glass and Russ Howe. Keep on Rockin’ boys! And thanks for giving the world “The King’s Ransom”. 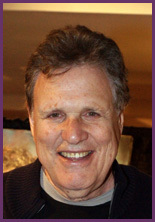 On October 20th I had the unique opportunity to accompany my sister Linda in viewing "The King's Ransom" at the Imperial Palace here in Las Vegas. We were so impressed with the quality of the items and the size of the exhibit, all displayed very professionally and tastefully. 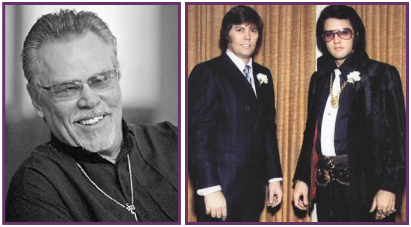 Thank you, Russ Howe and Bud Glass, for keeping the positive memory of Elvis alive here in Las Vegas! I was truly amazed when I walked into "The Kings Ransom" museum. What a beautifuldisplay of Elvis memorabilia. Such a variety, something for everyone to see You really get a sense of who Elvis was and his contribution to the entertainment world! Thank you Bud and Russ for sharing all the wonderful treasures with us. “The King’s Ransom” is very exciting. These are things that have not been seen before. You have wonderful stories documenting the items. This is a great collection! I had a lot of fun. I’ve enjoyed it thoroughly.